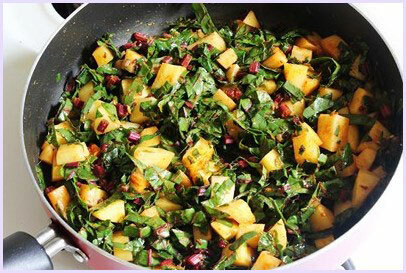 Aloo beet greens sabzi recipe – This is healthy, homey dry vegetable preparation made with potatoes, beetroot leaves and stems along with few basic spices. This goes perfect with roti, paratha. 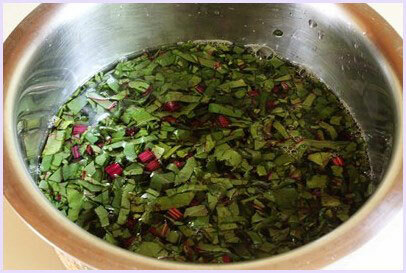 Apart from this, I also make dal with beetroot leaves (Hubby’s favorite). 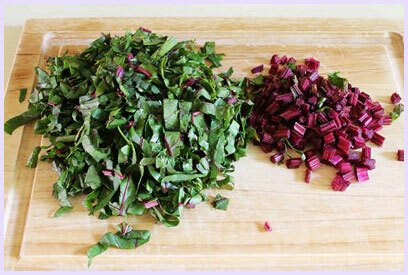 1) Chop the beetroot leaves, also chop the stems. My beetroot stems are pretty thin and tender, so I chopped it without peeling it. But if yours are thick then you might need to peel it or remove those strings. You will feel and see those strings as you chop whether it needs to be peeled or not. 2) Wash them very well. I keep them in cold water in a bowl till I prepare other ingredients for this sabzi. By this time all the dirt will settle down at the bottom of the bowl. And then you can remove those leaves from the water with your hand. Alternately you can wash them before chopping. 3) Heat the oil in pan on medium heat. 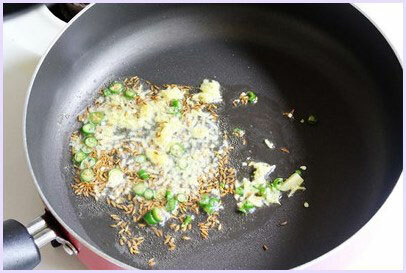 Once hot add cumin seeds and let them sizzle. 4) Then add chopped green chilies and ginger paste. Saute for 30 seconds. 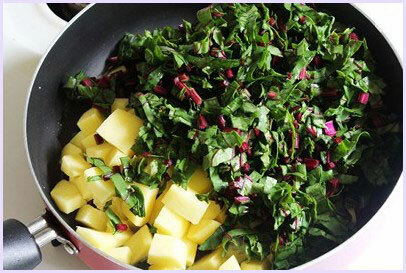 5) Then add potatoes and beetroot leaves. Mix well. 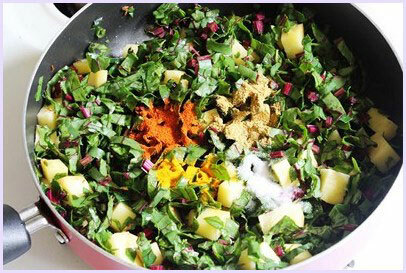 6) Add turmeric powder, coriander powder, red chili powder and salt. 8) Cover the pan and cook on medium heat. 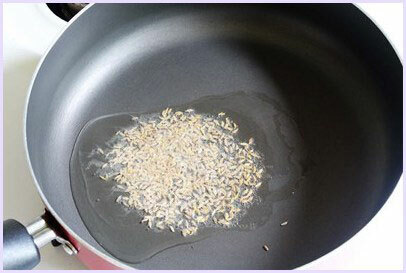 Stir once or twice in between to make sure that it is not sticking to the pan. 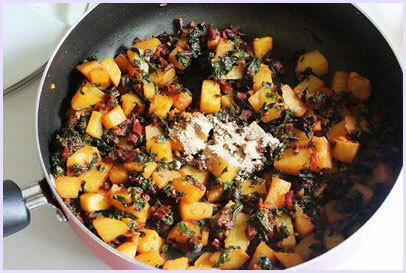 9) Cook till potatoes are cooked and tender. Potatoes should be soft but not mushy. 10) Finally add amchur and garam masala. 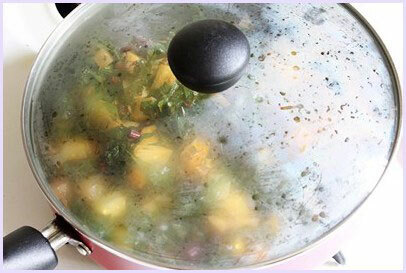 11) Mix well, switch off the gas and ready to serve. 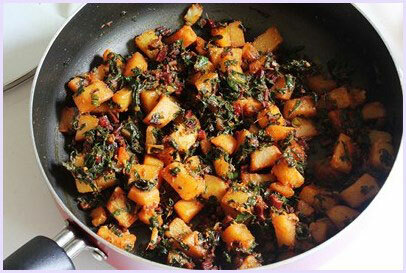 Serving suggestion: Serve this sabzi with roti/phulka. 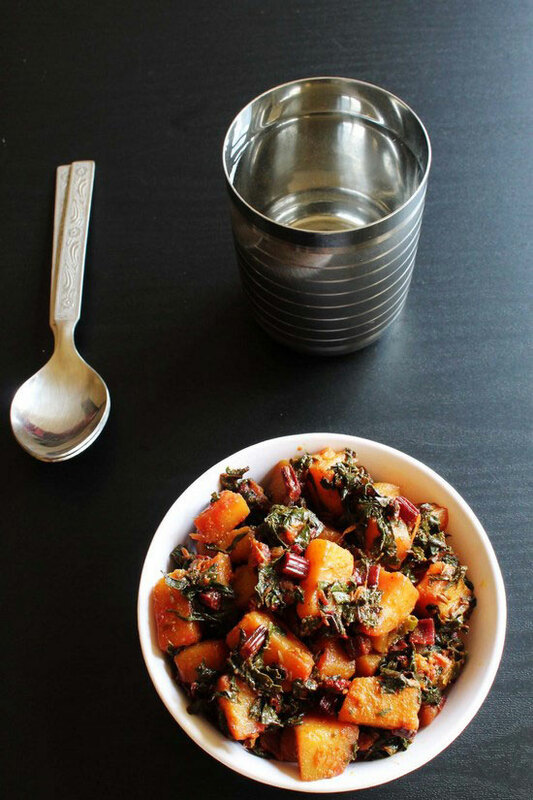 Serve kachumber salad, choice of dal and rice to make a complete healthy meal. We like to have chaas on side too. Chop the beetroot leaves, also chop the stems. Wash them very well. I keep them in cold water in a bowl till I prepare other ingredients for this subzi. By this time all the dirt will settle down at the bottom of the bowl. And then you can remove those leaves from the water with your hand. Then add chopped green chilies and ginger paste. Sauté for 30 seconds. Then add potatoes and beetroot leaves. Mix well. Add turmeric powder, coriander powder, red chili powder and salt. Mix well. Cover the pan and cook on medium heat. Stir once or twice in between to make sure that it is not sticking to the pan. Cook till potatoes are cooked and tender. Potatoes should be soft but not mushy. Finally add amchur and garam masala. Mix well, switch off the gas and ready to serve. This recipe is awesome. 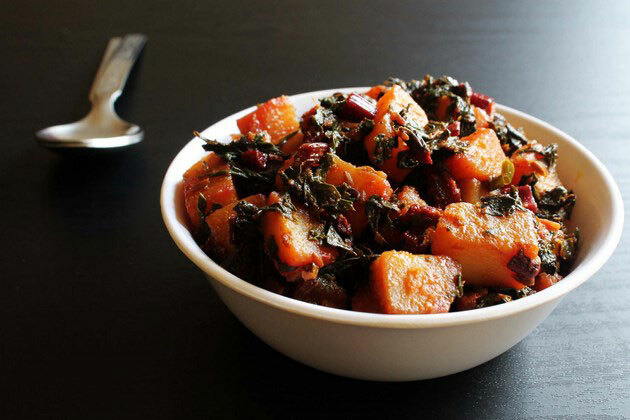 I didn’t what to do with the beet greens till I saw this recipe. 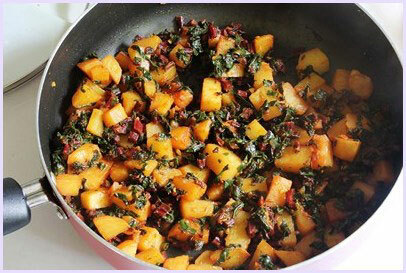 I tired with red potatoes and it was yummy and healthy. Thank you so much for the recipe. very happy to know that you liked.